‘Tis the season for friends, family and holiday feasts—but also for possible distress for our animal companions. Pets won’t be so thankful if they munch on undercooked turkey or a pet-unfriendly floral arrangement, or if they stumble upon an unattended alcoholic drink. Check out the following tips from ASPCA experts for a fulfilling Thanksgiving that your pets can enjoy, too. If you decide to feed your pet a little nibble of turkey, make sure it’s boneless and well-cooked. Don't offer her raw or undercooked turkey, which may contain salmonella bacteria. Sage can make your Thanksgiving stuffing taste delish, but it and many other herbs contain essential oils and resins that can cause gastrointestinal upset and central nervous system depression to pets if eaten in large quantities. Cats are especially sensitive to the effects of certain essential oils. Don't spoil your pet’s holiday by giving him raw bread dough. According to ASPCA experts, when raw bread dough is ingested, an animal's body heat causes the dough to rise in his stomach. As it expands, the pet may experience vomiting, severe abdominal pain and bloating, which could become a life-threatening emergency, requiring surgery. If you’re baking up Thanksgiving cakes, be sure your pets keep their noses out of the batter, especially if it includes raw eggs—they could contain salmonella bacteria that may lead to food poisoning. A few small boneless pieces of cooked turkey, a taste of mashed potato or even a lick of pumpkin pie shouldn’t pose a problem. 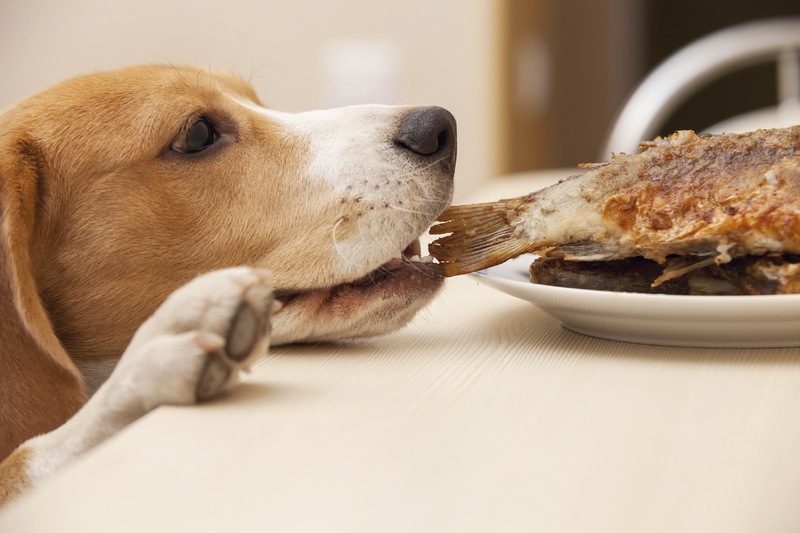 However, don't allow your pets to overindulge, as they could wind up with a case of stomach upset, diarrhea or even worse—an inflammatory condition of the pancreas known as pancreatitis. In fact, it’s best keep pets on their regular diets during the holidays. While the humans are chowing down, give your cat and dog their own little feast. Offer them Nylabones or made-for-pet chew bones. Or stuff their usual dinner—perhaps with a few added tidbits of turkey, vegetables (try sweet potato or green beans) and dribbles of gravy—inside a Kong toy. They’ll be happily occupied for awhile, working hard to extract their dinner from the toy.